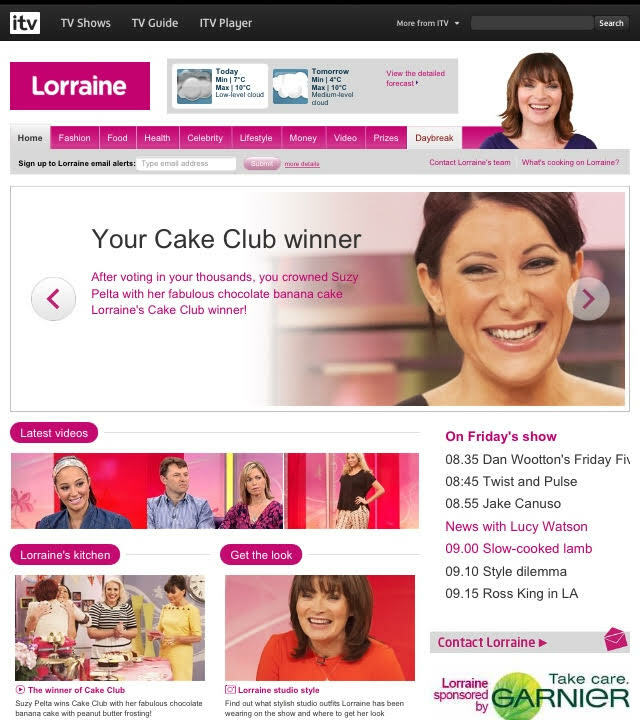 So on Friday I was back on the Lorraine Show almost 5 years to the day since I was crowned Lorraine’s Cake Club Winner! I took the Cake Club Winning Cake with – Chocolate and Banana Cake with Peanut Butter Frosting and baked an After Dinner Mint Mug Cake from my book: Miracle Mug Cakes and Other Cheat’s Bakes. It was an honour to be back on the show! 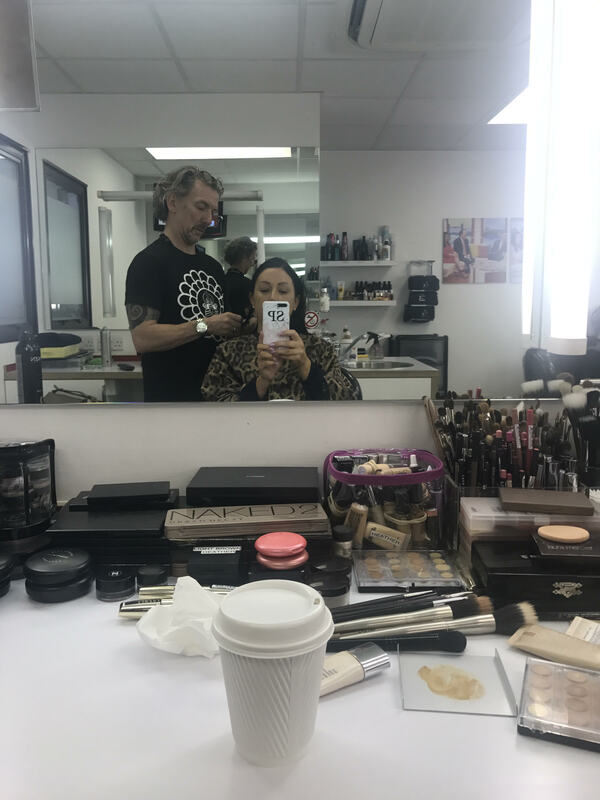 Lorraine was absolutely delighful – so supportive of me and what I had done, as were all of the crew! 5 years ago I could never have predicted the journey that winning the Cake Club would take me on. I was a stay at home mum to three (very loud) children, and my youngest two (twin girls aged 3 at the time) were about to start full time nursery. For the first time in around six years, I was about to have a full (school) day to myself and I had no idea what to do. 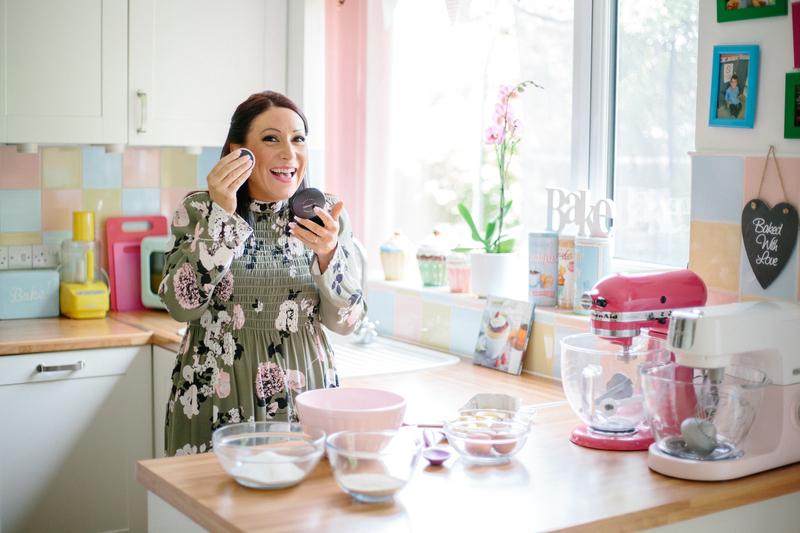 Winning the Cake Club opened up a whole new baking world to me and allowed me to turn my hobby into a business and helped me find myself again. The Cake Club, and more specifically, my Chocolate and Banana Cake with Peanut Butter Frosting literally changed my life! Not many people can say that about a cake! 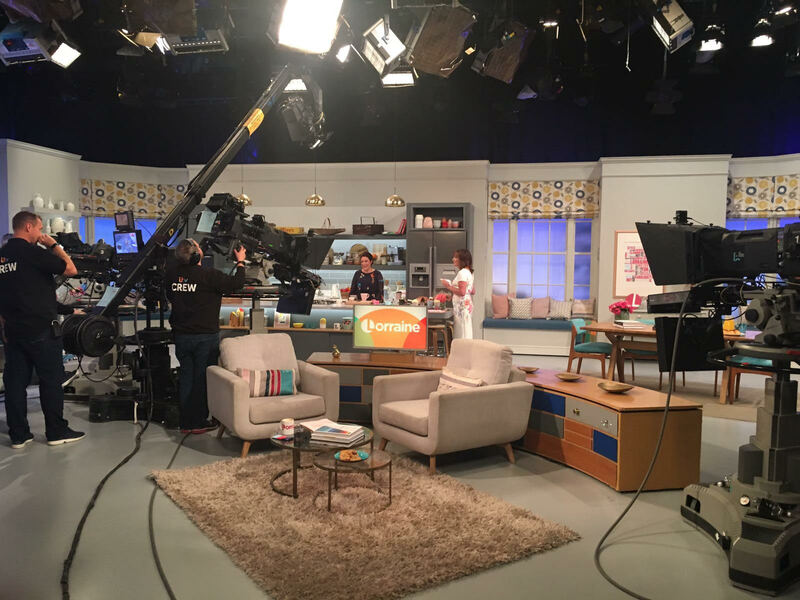 Being back on Lorraine was so much fun, although in typical Suzy fashion, I woke up with a rather delightful spot on my face that day! Thankfully hair and makeup were miracle workers and sorted me out. And for those asking, my dress was from Whistles. 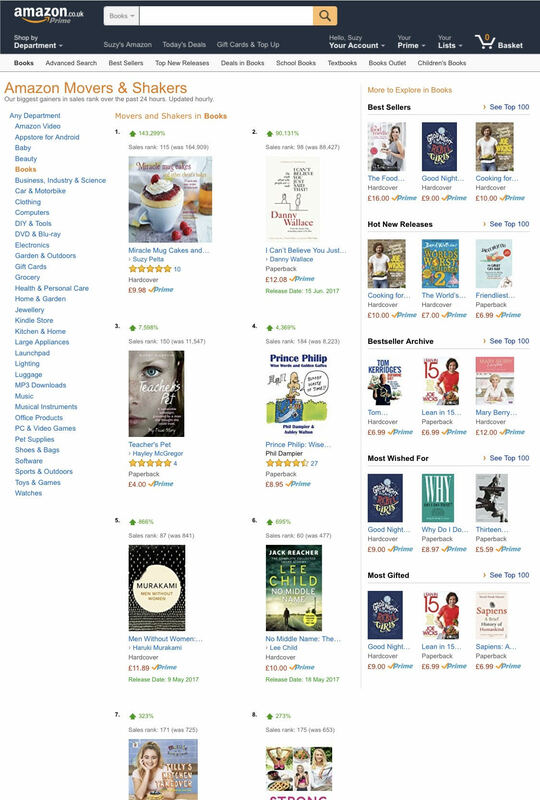 Thanks to my appearance on Lorraine, on Friday my book was a BEST SELLER and was the TOP ‘Mover and Shaker’ (biggest gainers in sales) in all books on Amazon UK! You can find my book in stock here! I have literally spent the weekend in a happy daze! And so talking of books, I am delighted to be taking part in Hari Ghotra’s panel event at The Shard – Writing a Cookbook on May 23rd from 6.30pm – 9.30pm. It promises to be a really informative evening and having only recently been to The Shard for the first time myself, I am very excited to be going back! Ticket info here. At the end of this month I will be at Foodies Festival in Syon Park. 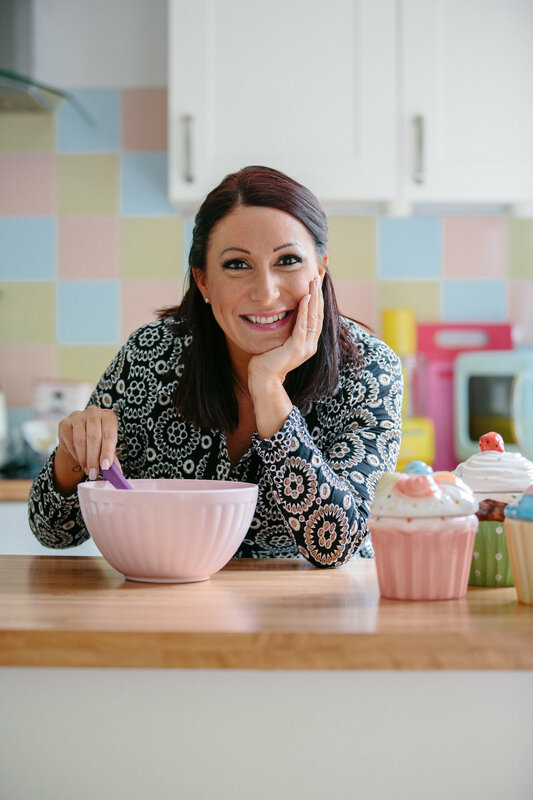 I will baking from my book in the Cakes and Dessert’s Theatre, hosted by the gorgeous Restoration Cake and I will also be selling and signing my book too. Would love to see you there! That’s all for now, but I will be back very soon! 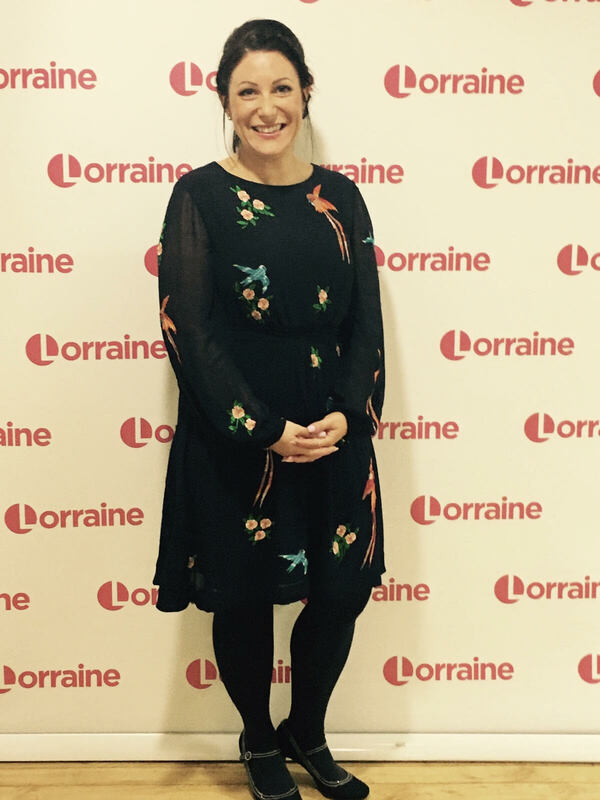 I am going back on LORRAINE!